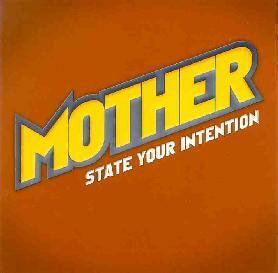 Mother - "State Your Intention"
Mother are a trio from Seattle that play what I guess I'd call "alt-rock". The band consists of Tim Macauley on bass, rhythm guitar and vocals, Jon Grout on lead guitar, and Josh Zampino on drums. The music is accessible and fairly mainstream, but is very well played and I do detect bits of progressive rock throughout the album that give the songs a sophistication beyond the norm. There's a definite 80's rock sound and U2 come to mind on a few songs, and energetic punky influences crop up on others. But there are a few songs that would be of interest to Aural Innovations readers. "Shattered" has a beautiful ethereal guitar sound that I enjoyed. "Lost In A Helix" fits in with the rest of the album but the guitar has a killer space-industrial Helios Creed sound. "Alpha" is an excellent rocker with cool winding wah guitar and powerhouse drumming. "Powderkeg" from their single is a similar fiery rocker. And "Salutations", also from the single, has some alien electronics and decidedly other-worldly lyrics... maybe kind of a Bowie "Space Oddity" feel. All the songs are available for mp3 download from the bands web site so check out the ones I mentioned and if you like what you hear take a shot at some of the others. For more information you can visit the Mother web site at: http://www.motherband.com. Contact via snail mail c/o Mother; PO Box 991; Seattle, WA 98111.